Lucinda and her magical gris-gris strikes again! But will the recipient adhere to Lucinda’s wishes? Lillian Wright has been single more years than she can count, but it never bothered her until her children purchased a membership to an online dating site for her and Lucinda sent her the gris-gris to wear. Then she begins looking forward to spending time with Matthew Steele, her widowed new neighbor. And suddenly her life is too empty and she is no longer content with being single. But is she ready for love? Matthew Steele has finally slowed down enough from his law practice to retire. Fifteen years after losing his wife he is still alone, living in a retirement community and eager to mend his relationship with his son. The last thing he expects is to meet someone who makes him question whether he deserves a second chance at love? For the better part of a year, Sage Steele and Patti Wright have argued over the fact that his job has kept him from attending his father and her mother’s impending nuptials¬, causing them to postpone their wedding. After three postponements it is clear to Patti that Sage could be there if he wanted, but he doesn’t. When circumstances change with his job assignments and Sage ends up at the Crescent Moon Lodge on a forced vacation, Patti decides to move the wedding to the lodge where Sage will be staying through the New Year. She will see her mother happy one way or another. Coming to the Crescent Moon Lodge for Sage means he has to face Patti after their bickering, but he also needs to face his father again after a year of avoiding him. During his drive he decides to do it on his own terms and mend their relationship once and for all. However, a twisted ankle while he’s taking photos in the Blue Ridge Mountains puts a kink in Sage’s plans, and he has to rely on Patti to get him safely to shelter during a heavy snow fall. Working together brings the pair closer, but will sparks fly while in the cabin waiting for help to arrive? Or will a new understanding for the other develop, leading to a charming wedding? When FBI Agent Clover Jameson witnesses a murder while undercover, she is whisked across the country in semi-witness security. All she can think about is making sure she can return to full duty after she testifies against crime lord Carlos Milano. She’s all about the job, and she can’t imagine her life being complete unless she’s an agent. That is until she meets her new neighbor Brandon and discovers there is a side of her that wants more than being an agent, the side that is falling for Brandon. Brandon Kohl believes he wants two things in life. Staying single and making partner at Bennett Graham where he is a financial advisor. He doesn’t want a wife and the responsibilities that come with it. That is, until he meets his new next door neighbor, Clover. She’s different from the marriage-minded females he’s causally dated. He doesn’t suspect that Clover may be the one woman that can change his life for the better until she is snatched out of his life. How much trouble can a little bottle and good luck charm get you into? 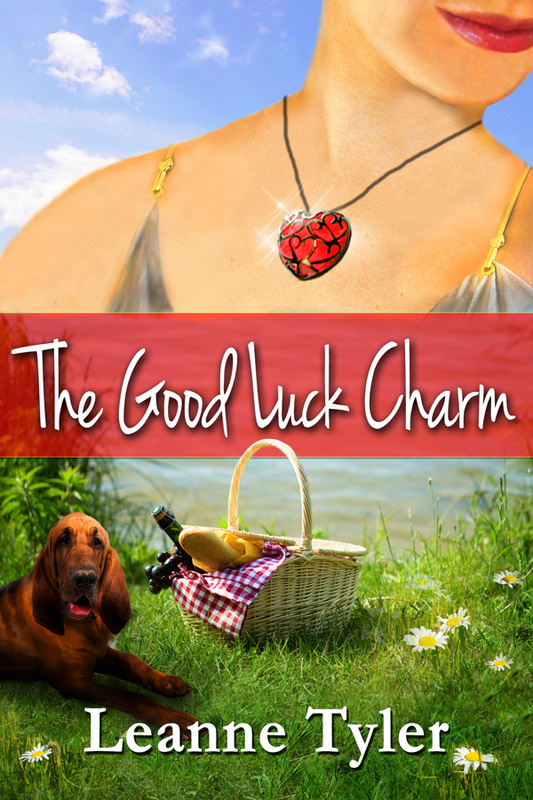 Sue Charles is having second thoughts after accepting a good luck charm from Lucinda, a mysterious Cajun acquaintance who insists the amulet will reveal Sue’s true love. Every indication is that the charm has singled out Alex Jones as Sue’s soul mate, but how’s a girl to know for sure? Can the gris-gris really work its magic for her or is she simply fooling herself? After spending three years in Alaska, Alex Jones returns to Tennessee eager to settle back into his old ways. But when he meets Sue Charles, his previous bachelor days no longer seem all that appealing. He’d love to build a new life around a relationship with Sue, but he’s worried about the consequences when things move too fast too soon. After all, his godmother did give him a good luck potion to carry around. What if his feelings are just a result of the Cajun woman’s mumbo jumbo? Jama Wright is a workaholic. The last thing she wants is to be given the responsibility of taking care of her new sister-in-law Keely’s overweight bloodhound, Duke, while Keely and Jama’s brother, Darren, are on their honeymoon. Jama agrees on the condition that Darren covers for her at her ad agency later that summer so she can take a much needed, overdue vacation. When given a good luck charm, Jama doesn’t want to buy into its acclaimed powers, but she’s superstitious enough that she doesn’t want to mess with fate. Little does she know that Duke will be become ill and she’ll meet the one guy that could change her outlook on life forever. Kyle Landers is a carefree guy. He loves working with animals and that’s why he became a veterinarian. When he gets an emergency call about his patient Duke, he immediately goes to check on the overweight bloodhound. Meeting the dog’s temporary caregiver, Jama, he finds himself attracted to her, despite his resolve to avoid entanglements with beautiful women. His former relationship with Carol had proved women in pretty packages weren’t to be trusted. Can he overcome the memories of Carol’s manipulation? And if he can, will Jama prove she’s nothing like Carol? 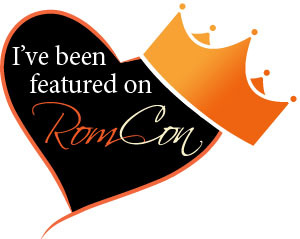 Can a love charm help two business rivals overcome their differences and find true love? Keely Jones believes all she wants in life is a successful advertising career and a corner office. However, that all begins to change when she bumps into a Frisbee player while jogging with her dog. 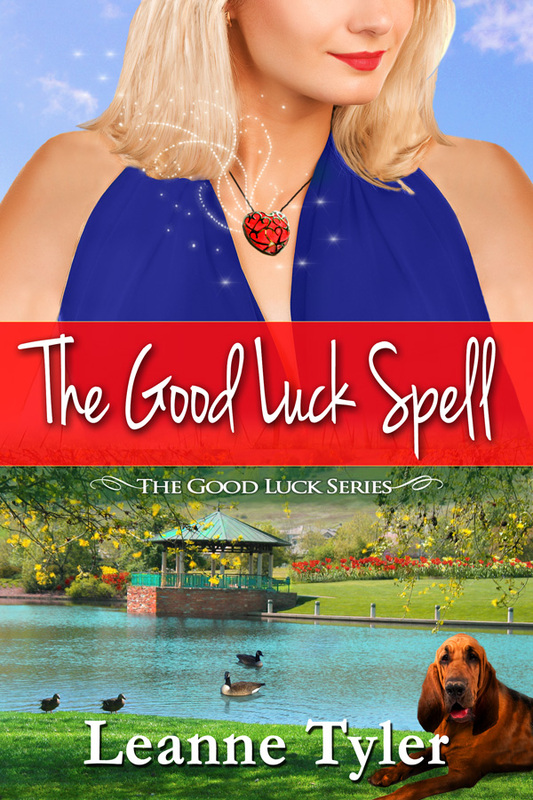 When she’s given a good luck charm she’s skeptical to believe in the magic of true love or finding her soul mate. But when things start to heat up between her and Darren can she truly ignore it? Or will he be the one man who can ruin her career? Darren Wright has returned to Knoxville to regroup and to join his sister’s advertising agency. 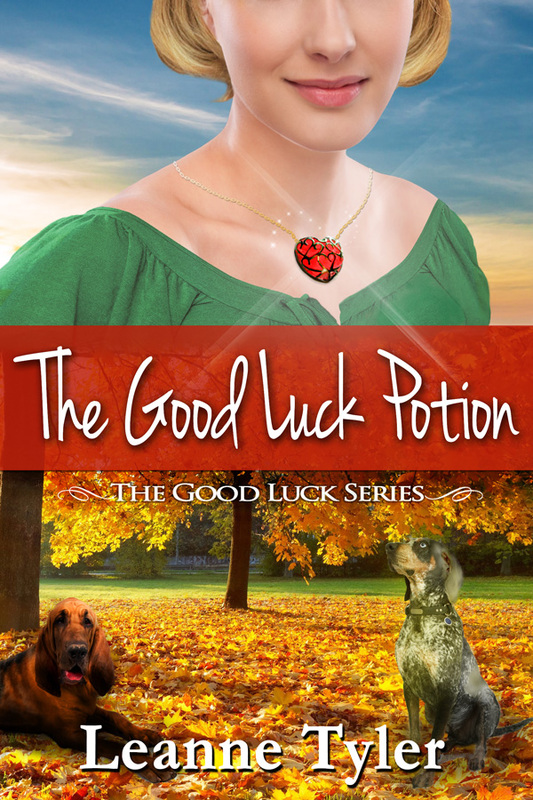 He isn’t looking for anything major to happen in his life, yet when he bumps into a cute brunette and her dog things begin to change. He’s soon promoted to Creative Director and falling for Keely. How can he tell her he works for an opposing firm? And if he doesn’t, will he risk losing her for good?